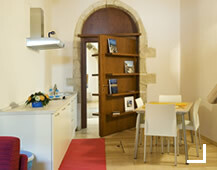 Not’Art Apart Hotel on the island of Ortygia, Syracuse is a complex of stylish and modern self-catering apartments in a Sicilian paradise perfect for families. Decorated and furnished in simple tones and with modern tasteful furniture, this self-catering residence is the perfect getaway to relax and recharge in style. Take a look at our Rooms & Services page for more in-depth information. Why not check out our Photo Gallery page for a more visual representation of the great facilities that away you at our boutique accommodation. So what are you waiting for? – make use of our 100% secure online booking system now and reserve your fantastic accommodation in one of the most beautiful places on earth. 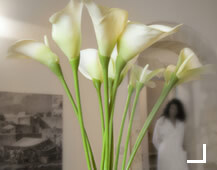 The Not’Art Apart Hotel offers a unique recreational experience by providing a blend of personalised hotel care and services but in the setting of plush self-catering residences. Recently renovated in 2008, the apartments and suites offer a myriad of mod cons in a chic environment employing simple colour tones, quality furnishings, artistic touches, exposed wooden beams and parquet floors. Palazzo Giaraca containing rooms of the ‘Standard’, ‘Double Superior’, ‘Double Superior with sea views’, and the ‘Junior Suite’ varieties. 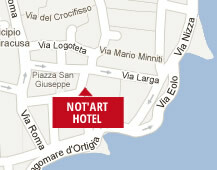 Apart Hotel in the airy square of San Giuseppe containing 6 exclusive suites named ‘Orange’, ‘Prickly Pear’, ‘Peach’, ‘Kiwi’, ‘Lemon’, and ‘Cherry’. Sea Villa and Villa Annexe with the former comprising a full villa including jaccuzzi to sleep 4 people, and the latter also being fully furnished and suitable for 2 people. Nearby attractions include the breath-taking marina and harbour overlooked by many of our exclusive rooms, the Archaeological Park, the island of Ortygia itself, the main cathedral of St Lucy and the largest catacombs outside of Rome. Take a look at our Location page for more information. The nucleus of the ancient Greek Corinthian city of Syracuse was located on the small island of Ortygia / Ortigia which is where the Not’Art accommodation is mainly situated. Located in the heart of Syracuse both literally and figuratively, this location is steeped in history and culture spanning the three great empires of Greece, Rome and Byzantium.